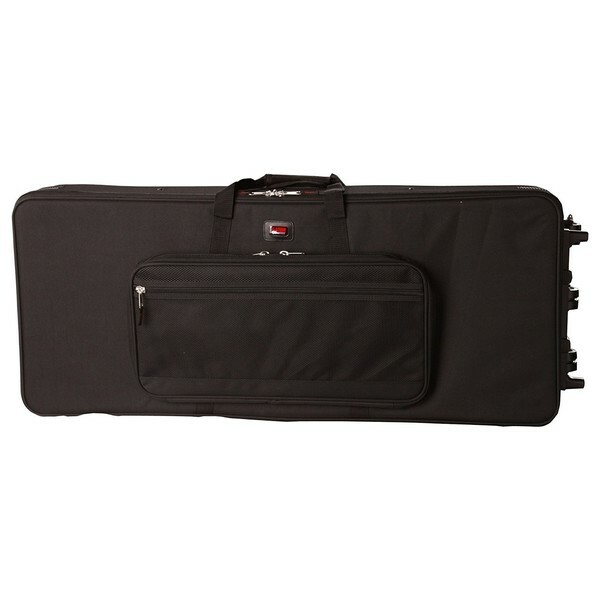 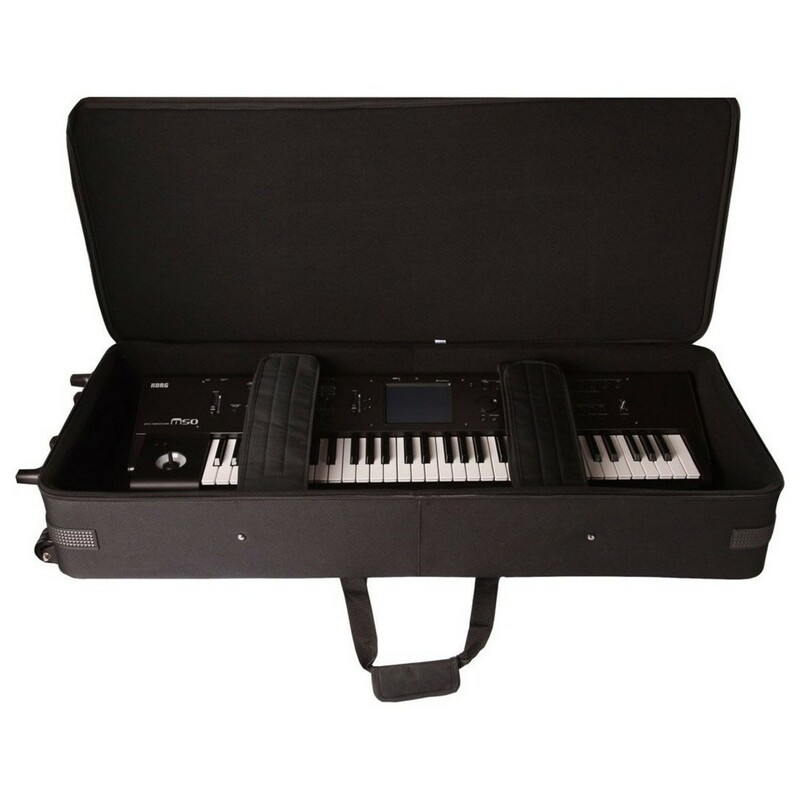 The Gator Lightweight 49-Note Keyboard Case has been designed to help protect and transport your 49-note keyboard. 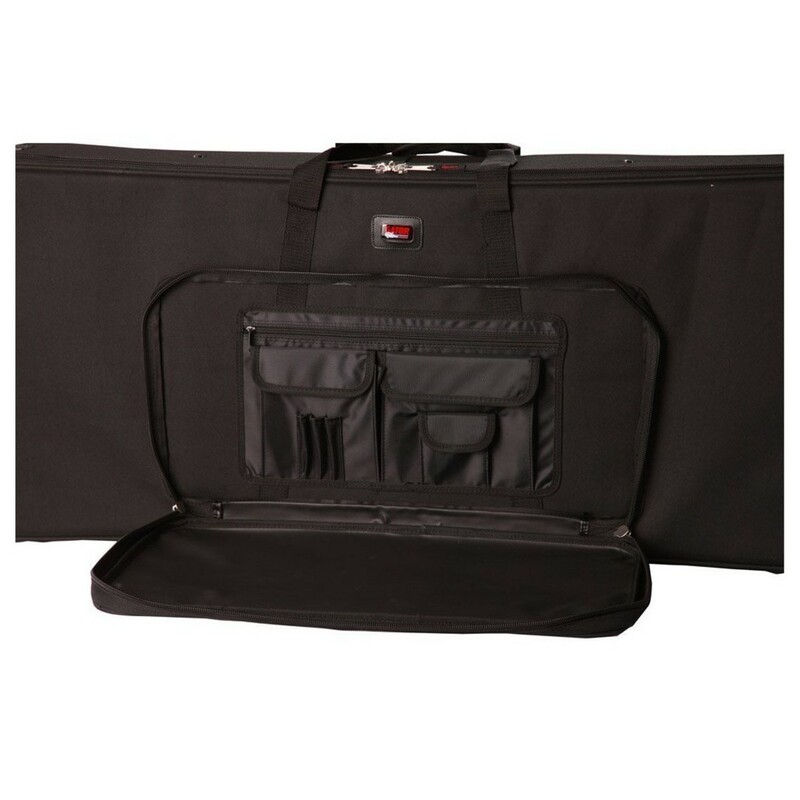 The case's rugged nylon exterior provides outstanding durability and protection, while the interior is lined with Tricot and soft foam for cushioning protection.The Gator lightweight 49-note keyboard case features fully adjustable padded straps to hold your keyboard securely in place during transit. 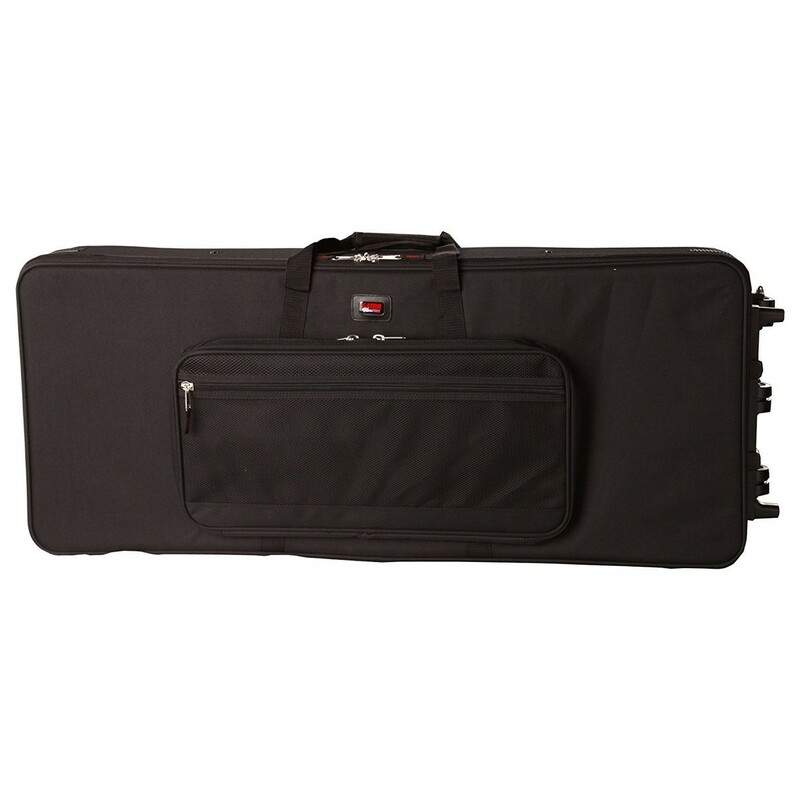 You can store your pedals and cables securely in the large accessory compartments. 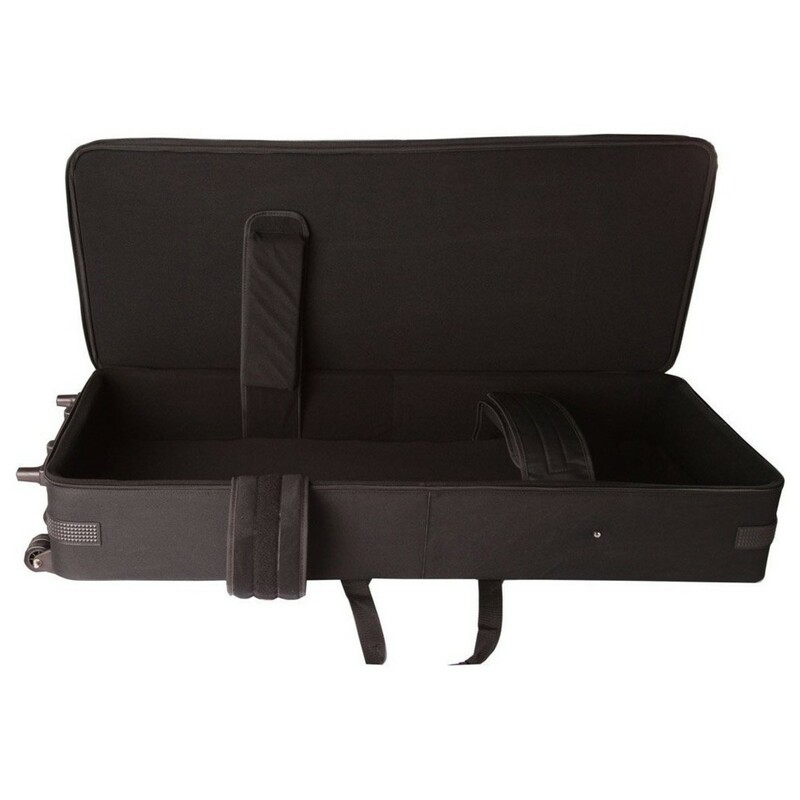 The case features built-in wheels and a tow handle for enhanced portability. 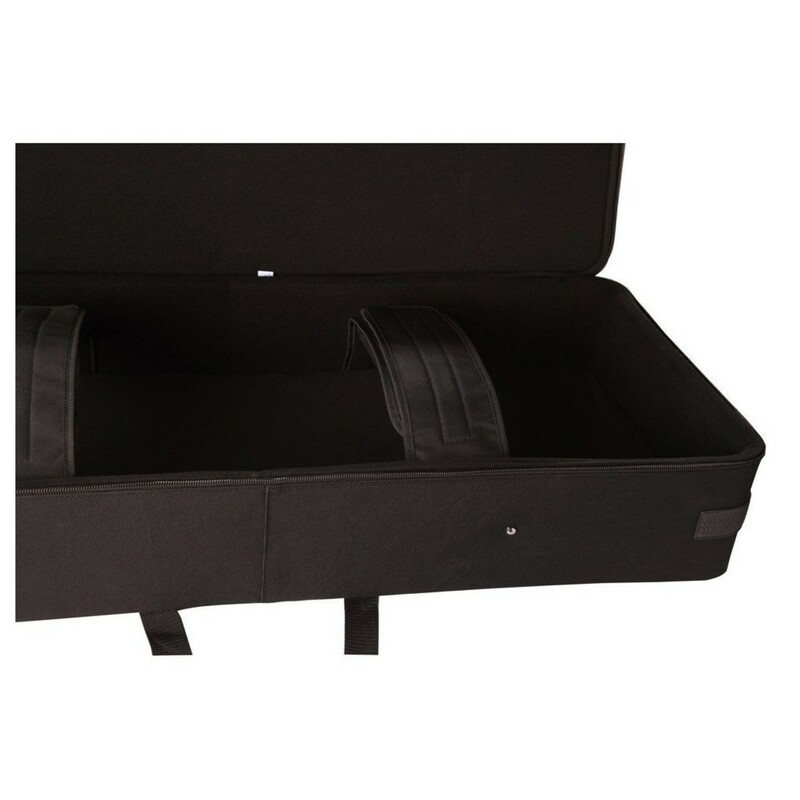 Additional skid bars allow the case to slide smoothly over surfaces with minimal friction and snagging.